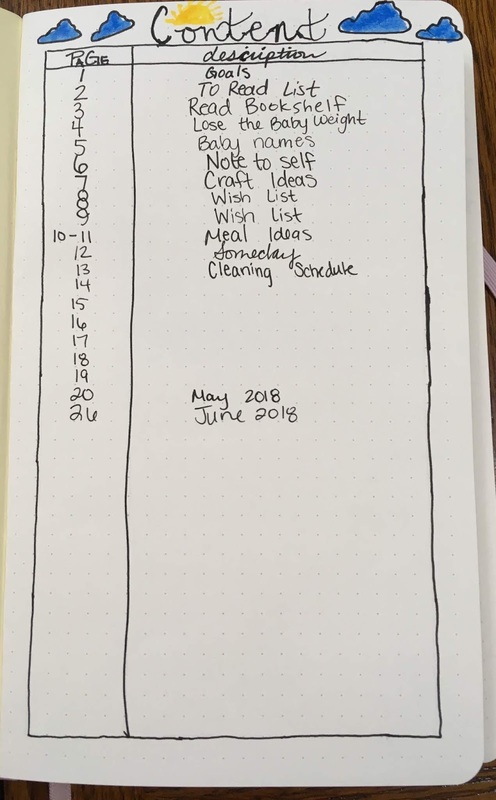 Last week (in the post HERE) I showed you the supplies I bought to start my bullet journaling journey. 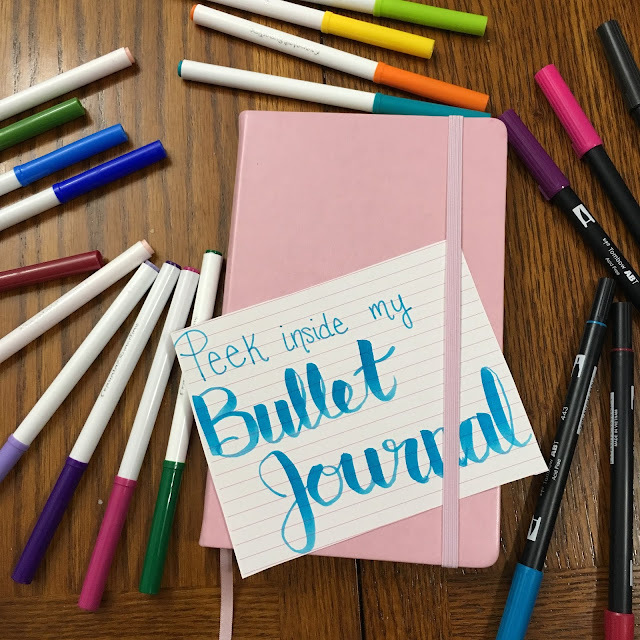 Today I'm giving you an inside look at my bullet journal (literally, heehee). 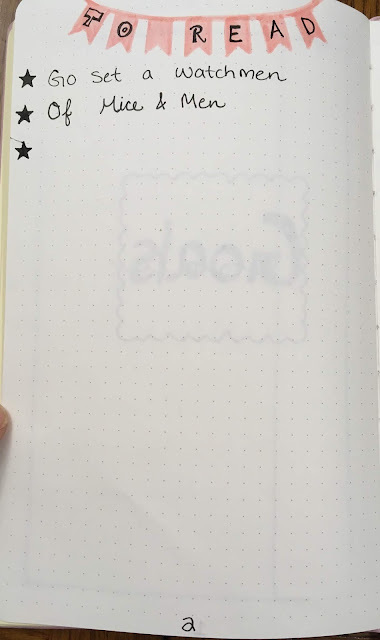 I track a lot of personal stuff in here, so it's kind of a big deal... but really I'm such a nosy human I would LOVE to see this if someone else posted it. So there you have it. Beyond just for curious cats like myself, I'd love to show you how beginners start, and give you the inspiration and confidence you need to jump into your own bullet journaling. Just know that this isn't professional. I'm a terrible artist, my lines aren't straight, I make mistakes and don't have the best handwriting. But that connects to my biggest tip... Don't worry about perfection! 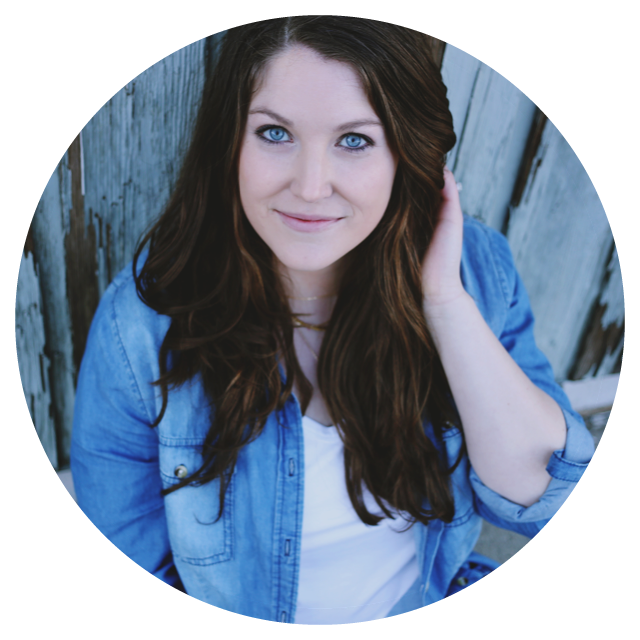 Unless you're a crazy overshare-er like me, no one is ever going to see it. So give it a whirl, and make bullet journaling work for you! That's the beauty of it- it can be whatever you want it to be. 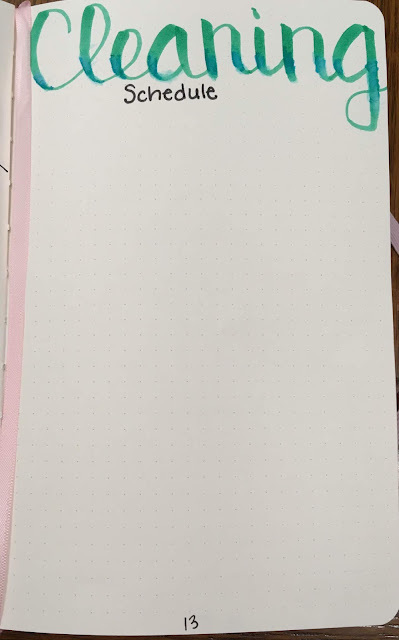 I do have planner type pages, but what I am showing you today is all the random spreads of things I want to keep track of!! 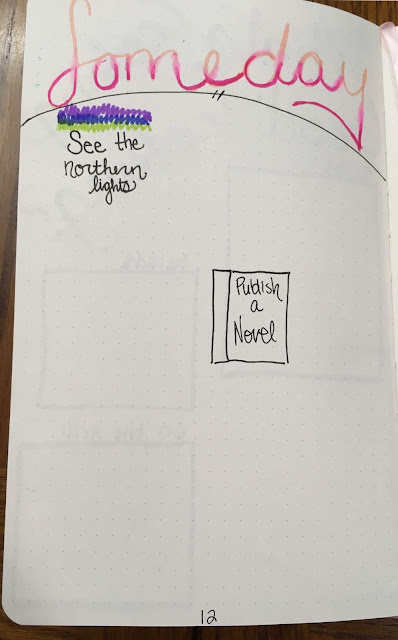 Exactly what it sounds like- a place to organize your spreads and be able to find them easily! 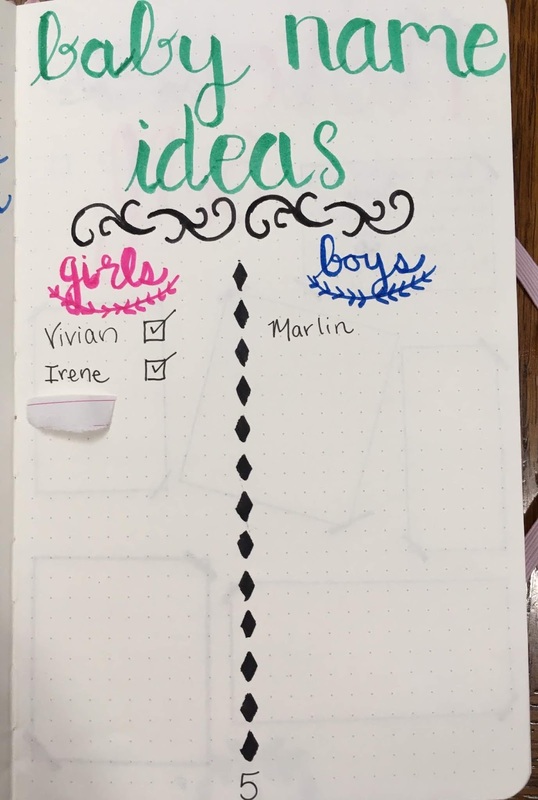 I love crafting, so I have a spot to write down which ones I would like to accomplish! 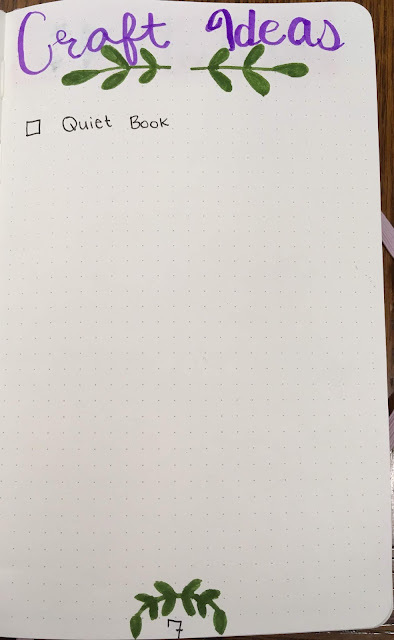 A quiet book is high on my list for Vivian at church when she's a bit older! Next up is my wishlist. I am what you might call a "shopaholic" and as my disposable income will go away once I'm done teaching, I need to manage my money better. I will write down things I'd like to buy, and thing about them/wait on them, and then decide if I should purchase. 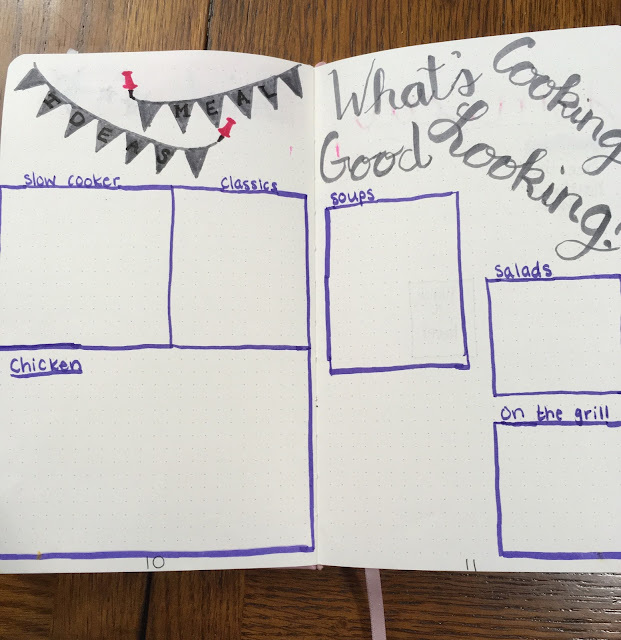 My meal ideas pages are next up! I like cooking but my husband and I are forever asking each other "what should we eat?" 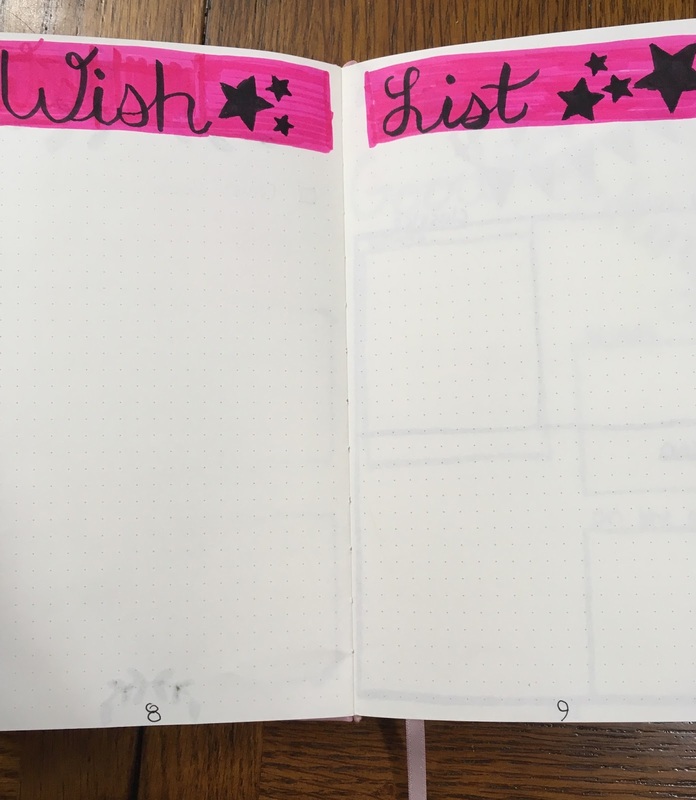 I hope to solve some of that by listing lots of our favorites to give me inspiration!! 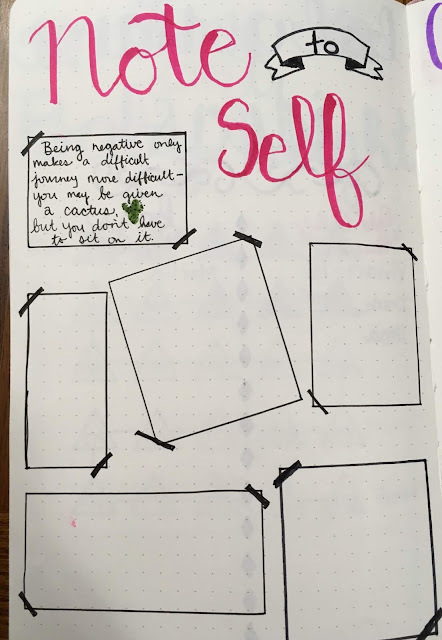 I'm very excited about this page. I haven't filled it in yet, but once I'm home with Vivian, I want to have a schedule to stick to as to when I do vacuuming, laundry dusting, and bathrooms. Some chores are daily (hello kitchen, looking at you) but I tend to let other things fall through the cracks. 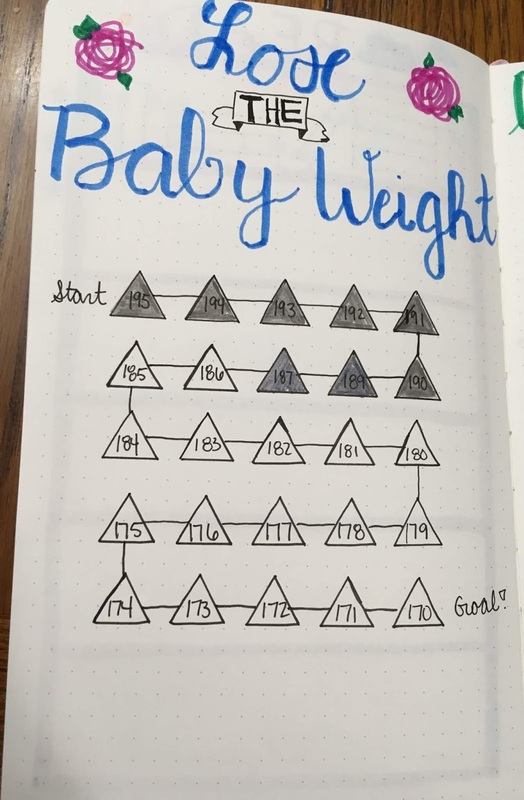 I'm a very structured person, so I think I just need a good routine! Well, there you have it! 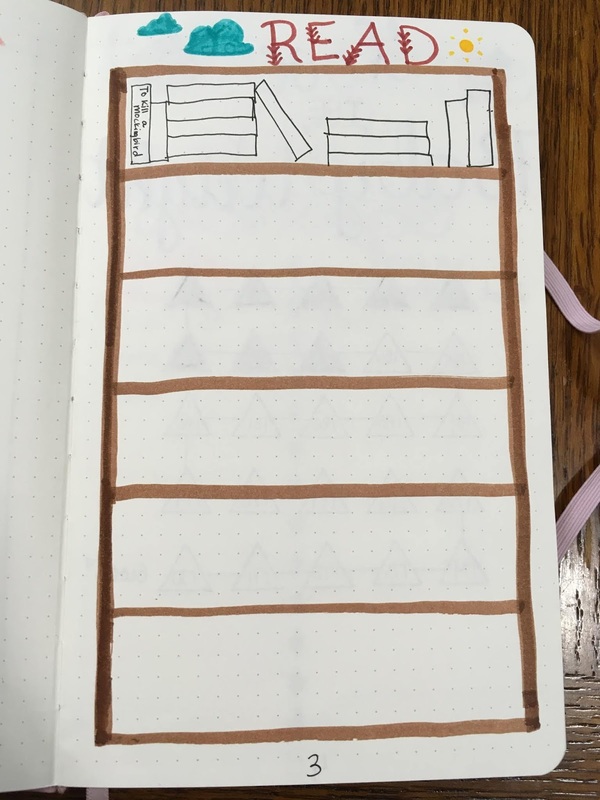 I have monthly and weekly and daily spreads to help me keep track of the usual life things, but I think I'll save that for another day. If you liked this post and want help starting your own bullet journal, check out this post on supplies you'll need to begin. 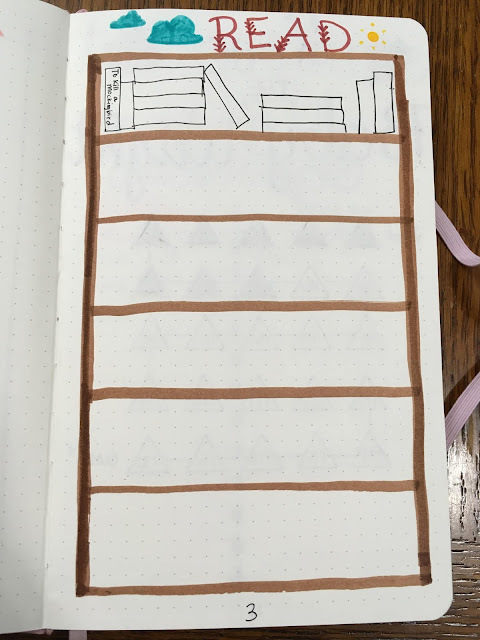 I am totally stealing the bookshelf tracker idea. Your two toned cleaning script is lovely! You are doing great! 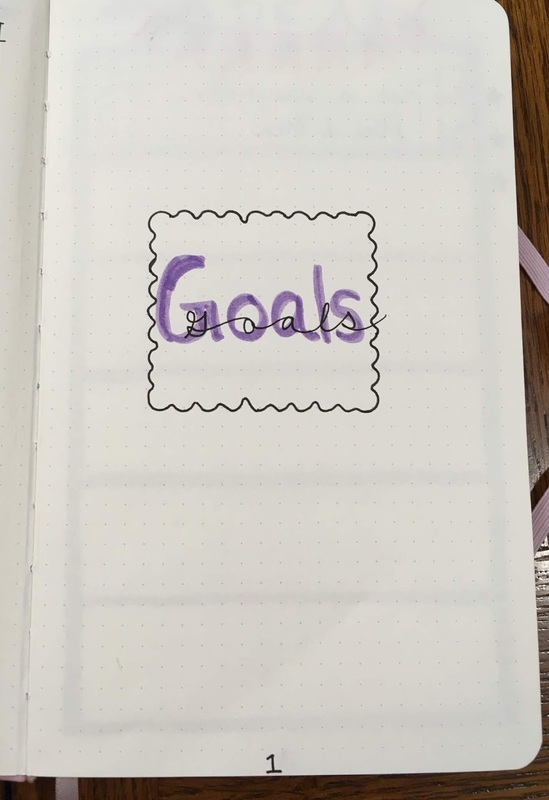 I can't wait to see your monthly, weekly and daily spreadsheets!. This is great and really inspirational for a list person such as myself!